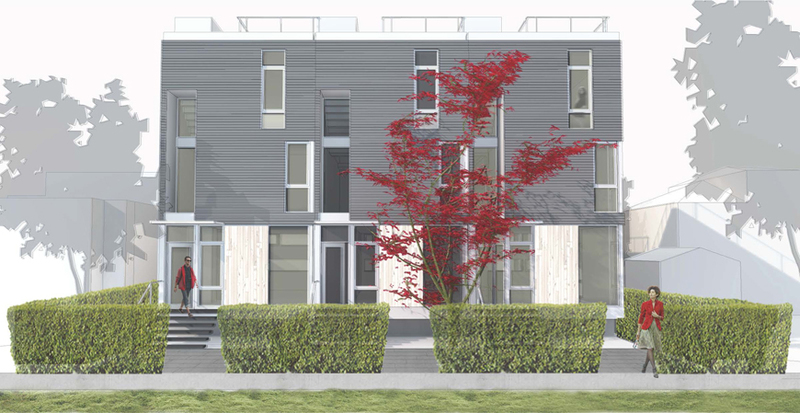 B to B is an eight unit townhome project located in the Harvard-Belmont neighborhood of Seattle. 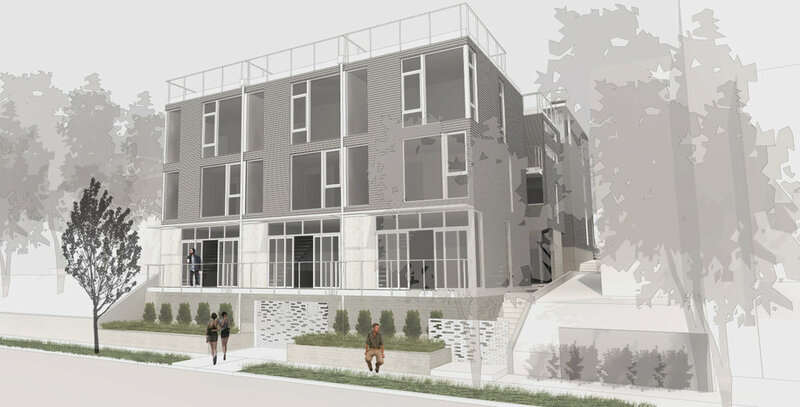 Shape an urban courtyard that is shared by all townhomes and provides a central identity to the project. 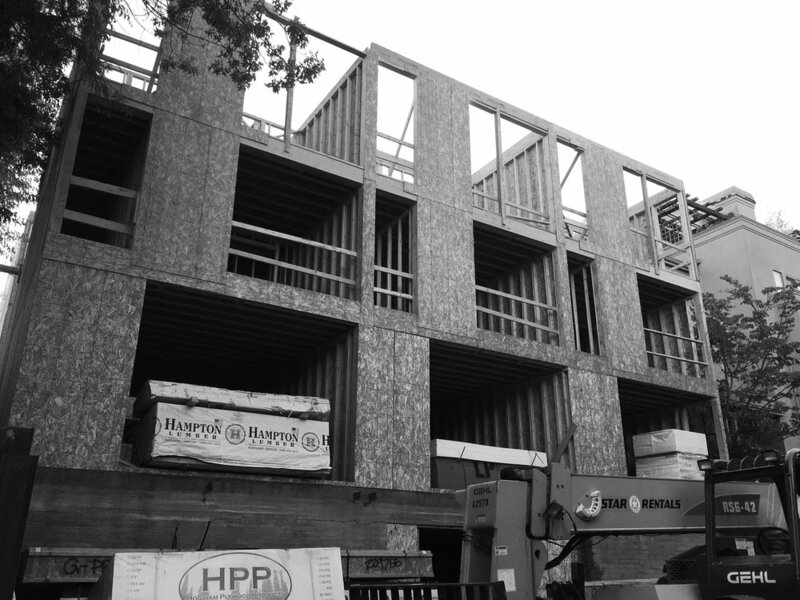 Relate the scale and materials used in the courtyard to the numerous courtyard apartment projects found throughout Capitol Hill. This is achieved by elevating the two central units above a contiguous ground plane. Utilize the sloping topography to conceal parking and services below grade. Produce a strong visual connection from both of the street and sidewalk environments to the central urban courtyard and into all units.